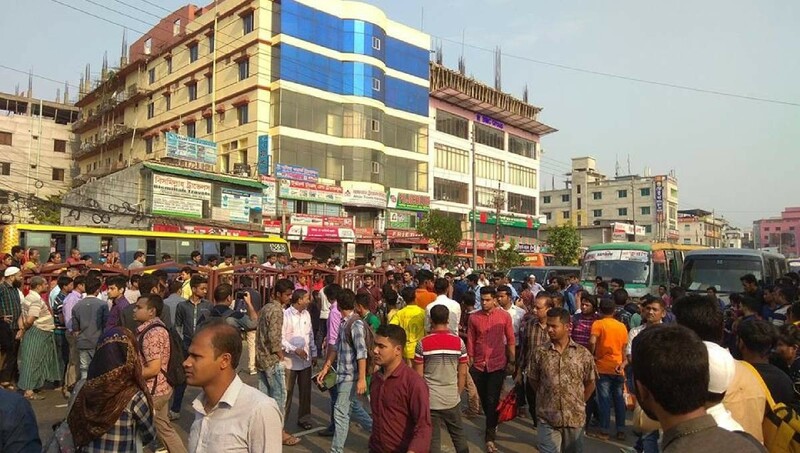 Students of different private universities blocked the road in front of Jamuna Future Park following the death of a student of Bangladesh University of Professionals (BUP) in a road crash in Nodda area of Pragati Sarani area in the capital on Tuesday morning. The victim was identified as Abrar Ahmed Chowdhury, son of Brig General (retd) Arif Ahmed Chowdhury of Bashundhara area, and honours 1s tyear student of International Relations Department. He told the students that he will stay with them on the road and he wants punishment of the driver.